If someone had told me a few years ago that I would be fighting in a charity boxing match in London as a Senior Manager of Business Development for Zuora, I would have insisted they had me confused with someone else. Just two years ago, I was living in Boston (with no intention of moving), working for Zuora as a Business Development Representative, and I’d certainly never thrown a punch in my life. When a management position opened up in London, I instantly knew it was the opportunity I wanted. I asked my manager, Frank Ernst, to consider me for the role. Not every leader would take a risk on a 24-year-old with no prior management experience and send them across the world to fill an international leadership role, but Frank is not every leader. Frank championed my promotion with Senior Leadership and within weeks I was taking a red double-decker bus to my new office in London where I was welcomed by another set of strong mentors. The European leadership team became my core support system and helped me navigate everything from initial challenges as a first-time manager, to homesickness, to all the amazing experiences London has to offer. 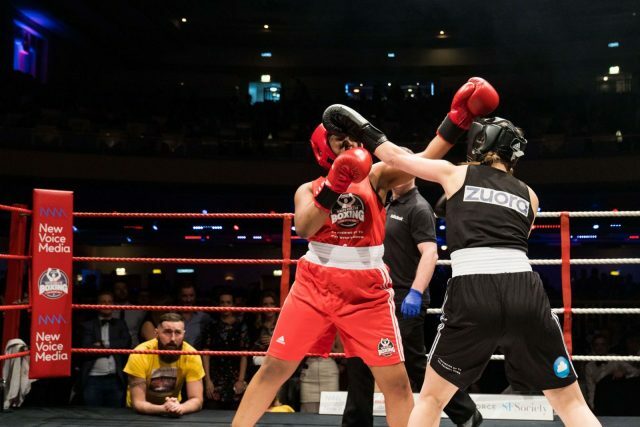 A year into my time in London, I witnessed one of these exceptional leaders, Nicky O’Callaghan, Zuora’s Senior Director of Alliances for EMEA, fight in a white-collar boxing match organized by Partner Event Promotions (PEP). Nicky is a force to be reckoned with and an inspiration to me on a daily basis and her time in the ring was no different. She trained intensely, smashed her fundraising targets and won her fight, further inspiring me with her willingness to take on a completely new challenge in support of a good cause. 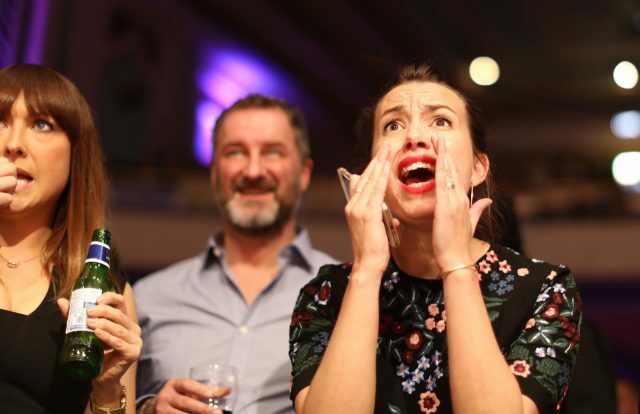 PEP is an organisation that brings Salesforce partners together to raise funds for charities and worthy causes. This particular event is in support of Sports Traider Charity who raises money with the aim of ensuring all children in the U.K. have the opportunity to take part in sports and gain confidence, self-esteem, make friends and improve mental and physical health and wellbeing. When the opportunity to sign up for the 2019 event arose, I jumped at the chance. Signing up was one thing, but I cringed at the idea of asking my friends and colleagues for money even for an incredible cause like Sports Traider. But I was quickly reminded, when you’re a ZEO, you’re never truly in it alone. Frank stepped in again by sending a company-wide email promoting my fundraising efforts. In just a few short hours, I exceeded my goal of 2000 GBP. Equally as motivating as the flood of donations from my coworkers, were the personal messages from hundreds of Zuora employees from Chennai, San Francisco, Boston, Paris, Atlanta, and Australia. Some were from dear friends that I’ve worked with closely over the last four years and others were from colleagues I’ve never met before. It was a message from one of those perfect strangers that I read and re-read right before I entered the ring. A colleague shared how he spent his childhood wanting to play sports competitively but he didn’t have the means to do so — exactly like the kids that Sports Traider Charity supports. His words reminded me that all of the blood, sweat, and tears put into 12 weeks of training were not really about the fight at all, but about raising money to give opportunities to a new generation. The adrenaline on fight night was like nothing I’d ever experienced. The electricity in the dressing room amongst the 30 boxers before the match, the thrill of walking out to my favorite Missy Elliot song, the pride of seeing my parents sitting at the Zuora table with my amazing coworkers, the joy of hearing my name shouted as I landed a punch or dodged my opponent’s, and the love I felt from everyone when I ultimately walked out of the ring having lost the match, are all feelings I will never forget. Competitive to the core, I love to win. It’s this competitiveness that pushes me to achieve my quota each quarter, sent me to President’s Club for the last two years, and inspired me to relocate across the Atlantic Ocean for a dream job. I did lose my fight — by one point (my pride needs you to know that) but, the next day, the trainers from White Collar Boxing London voted me “Fight of the Night” for leaving my heart in the ring. I believe the heart that they saw during those three rounds has everything to do with the support from my fellow ZEOs: sending donations, cheering me on through my training, watching the live stream, and screaming bloody murder ringside on the night. Even though I lost my match, I still feel like a winner knowing that 1,200+ ZEOs were always in my corner. I’ve since promised my mother I will never fight in a proper boxing match again, but I find myself starting each work day with the advice from my trainer: “Breathe. Trust yourself. Stay on your toes. Don’t panic. Your hard work will pay off.” As it turns out, her advice on how to stay composed in a boxing match is also excellent advice for how to stay composed in sales, management and life.